Are the weeds taking over your garden? Is the garden creeping out of control because you just don't have the time to get to grips with it? Are the shrubs in need of a prune? Do the hedges need a good trim? Are the flower beds out of control? Do last years pots need clearing? Do the veggie plots need attention? 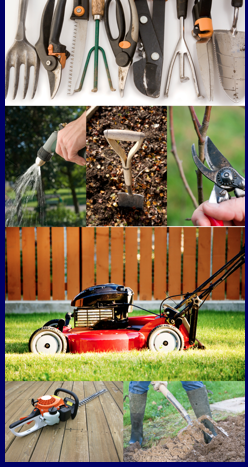 Are there areas in your garden that just need a good clear up? Does the Pond area need attention? Does your garden fence, shed or furniture need painting? If the answer to any of these questions is YES then we are here to help. 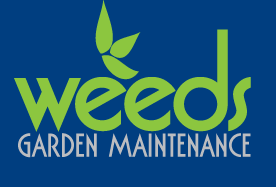 During January, February and March we are running a special offer where for a one-off fee two (or more) Weeds gardeners will work on your garden for either a whole or half day. You will be amazed at what can be achieved in this time. We can even take your garden waste away (obviously there will be a charge for this additional service) but if you would like us to do this we would be happy to give you a quote. 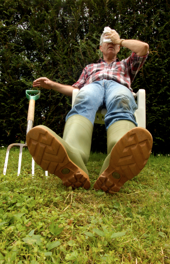 DON'T DELAY, YOUR GARDEN WILL LOOK EVEN MORE DEPRESSING TOMORROW - PICK UP THE PHONE NOW AND LET THE WEEDS GARDENERS TAKE THE STRAIN OUT OF YOUR GARDEN. Note: ANY Prices shown here are for visits within a 10 mile radius of Taunton. Mileage charged at 50p per mile for visits outside of the 10 mile radius.